What is a genuine Western style house? What is the affluent life? Feel genuine affluent in Canada. What is a genuine Western style house? What is the affluent life? Appreciation of the yen is a chance！ Feel genuine affluent in Canada. We go to Canada with the customer who wants to build their house with us, the tour to be able to experience North American life and the interior by your own eyes and body. I think most of Western style house in Japan has not achieved genuine affluent. How wonderful if you could start house-building after watch the ideal way of house by your own eyes; Western style house in Japan is not equals to a genuine Western style house. We realize your dream. We invite all customers who have contracted with us in this year to Toronto in Canada where the home of brick cladding. Free of charge for one person. Of course, there is no empty lot. Even other family members can participate in our special tour. Additional fee is 300,000Yen per person; the charge include all of the local transportation, airline ticket, hotels, and meal. 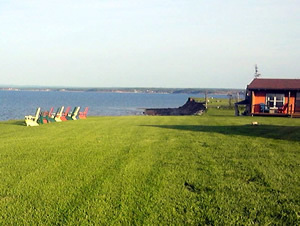 It means, you have a chance to enjoy 4 nights 6 days trip to Canada with your in charge of one person. Also, the tour shows you the general life of Canada that can’t taste it by an ordinary sightseeing tour. Isn’t it wonderful? If you go this overseas experience with your child, it will be good for promoting emotional development. The person who interested in our Canadian tour: Fill out the “Contact Form". Please transmit after filling in your requests to the plan and necessary subjects. The most important thing for the house-building is what you want to achieve with the house. We make a plan of your home based on your theme and concept for the house. We share the information and discuss enough with the client, and then take several weeks to examine the plan following the size of the furniture and the room arrangement according to the movement line, balance, size, and shape. All our plan has drawn by hand because we can think about client’s feelings during draw the draft. Check each plan: according to the category by area. 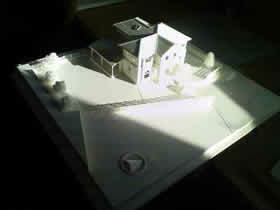 The final confirmation of design has decided by the solid model. If this is your first time to build a house; it is difficult to realize the plan drafting on the paper. 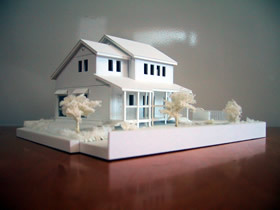 Then, we make a solid model of the plan to imagine the design of the house easily, and present you. We can produce a solid model art which full colored as a real house for the Newly-built commemoration, though we charge for it. House is the maximum shopping of your life, so to make sure for the satisfied house building.